Magnesium is important to support your energy metabolism and normal muscle function. Further, it supports the reduction of tiredness and fatigue. 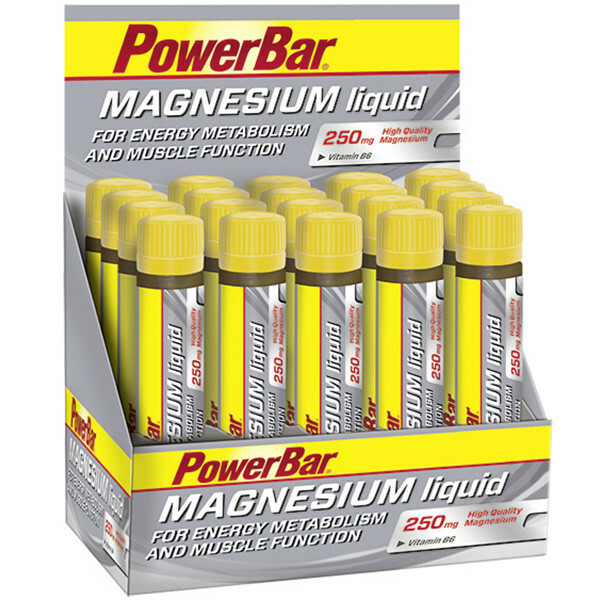 Magnesium is one of the 5 electrolytes that your body loses most while sweating. As sportsman, you should assure a sufficient supply of Magnesium. 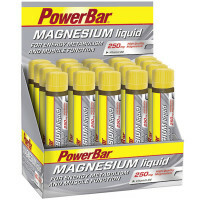 One ampoule of PowerBar MAGNESIUM liquid serves you with 250 mg high quality magnesium plus vitamin B6. Water, orange juice (from concentrate), magnesium citrate, acid (lactic acid), fructose, preservative (potassium sorbate), sweeteners (acesulfame K, cyclamates, saccharins), flavouring, vitamin B6. Drink one ampoule per day. Shake ampoule well before use.